Virtual Router turns any Windows 7, Windows 8 or 2008 R2 computer into a Wifi Hot Spot using Windows' Wireless Hosted Network (Virtual Wifi) technology. Where can Virtual Router be used? Unlike similar applications, Virtual Router is not only completely Free, but will not annoy you with any advertisements. Also, since Virtual Router is not ad-supported, it does not track your web traffic the way other ad-supported applications do/can. 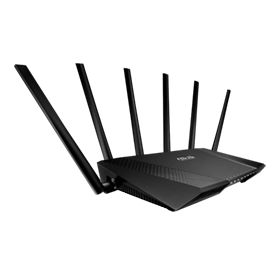 The Wireless Network create/shared with Virtual Router uses WPA2 Encryption, and there is not way to turn off that encryption. This is actually a feature of the Wireless Hosted Network API's built into Windows 7 and 2008 R2 to ensure the best security possible. You can give your "virtual" wireless network any name you want, and also set the password to anything. Just make sure the password is at least 8 characters. BTW, this project is written entirely in C#. Connectify is an easy to use software router for Windows computers that utilizes your PC’s built in Wi-Fi card to wirelessly share any available Internet connection with friends, co-workers, and mobile devices.